French Art Nouveau Bronze Inkwell signed Albert MARIONNET. 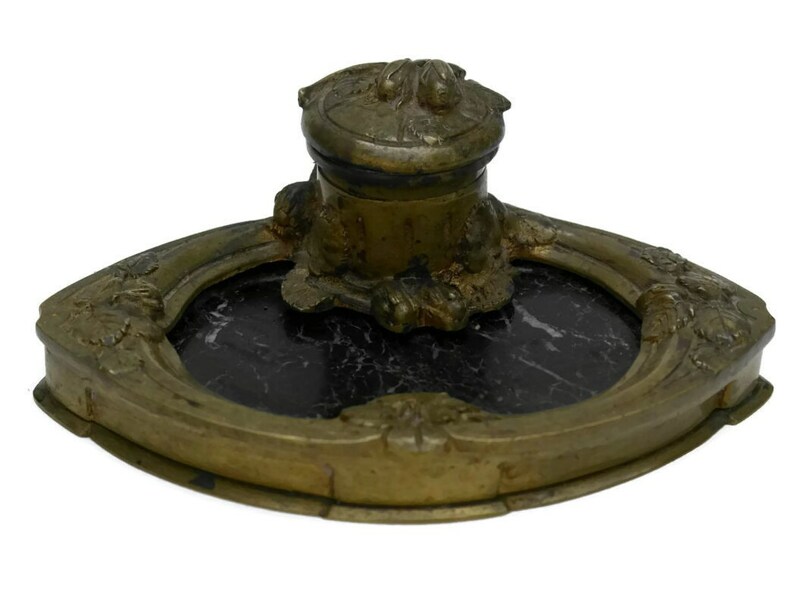 Antique Gilt Bronze and Marble Ink Well. 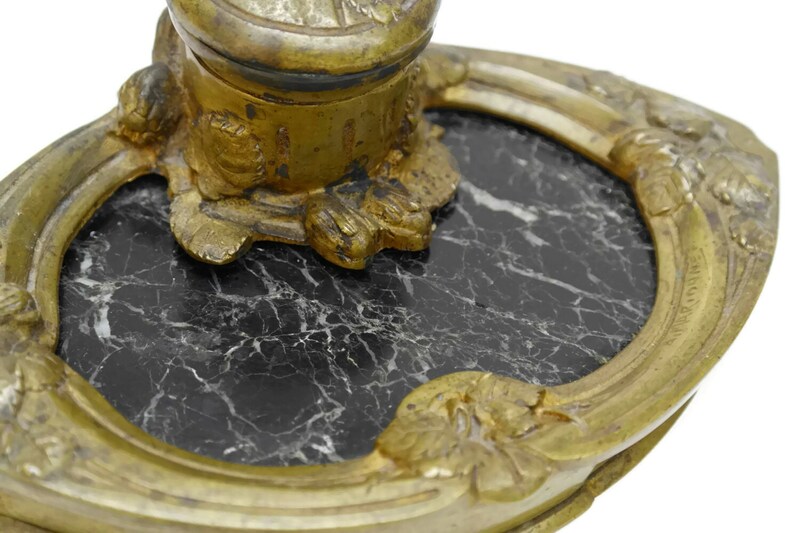 An amazing antique French gilt bronze Art Nouveau inkwell by the French Artist Albert Marionnet (1852 - 1910). 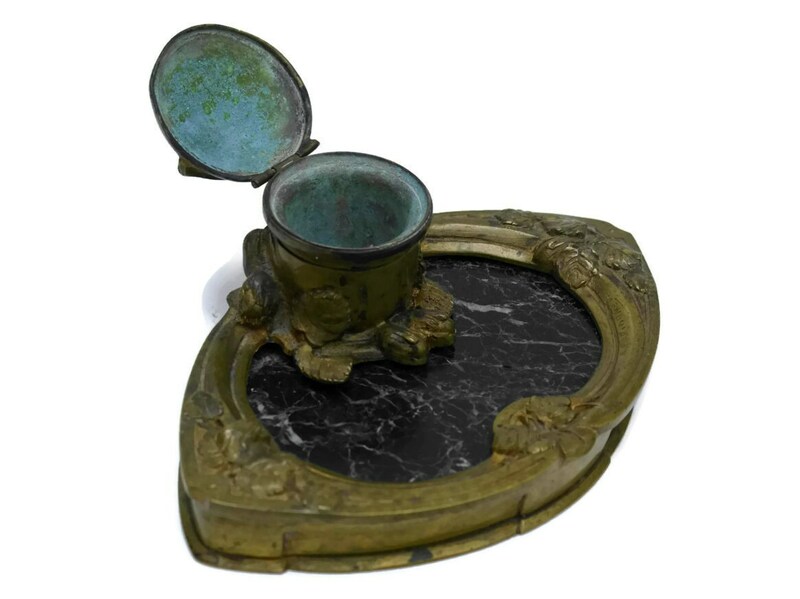 It has a hinged lid and it sits on a polished black and grey marble base with a decorative border. The inkwell and stand have been decorated with berry and leaf accents. It is signed A. Marionnet. 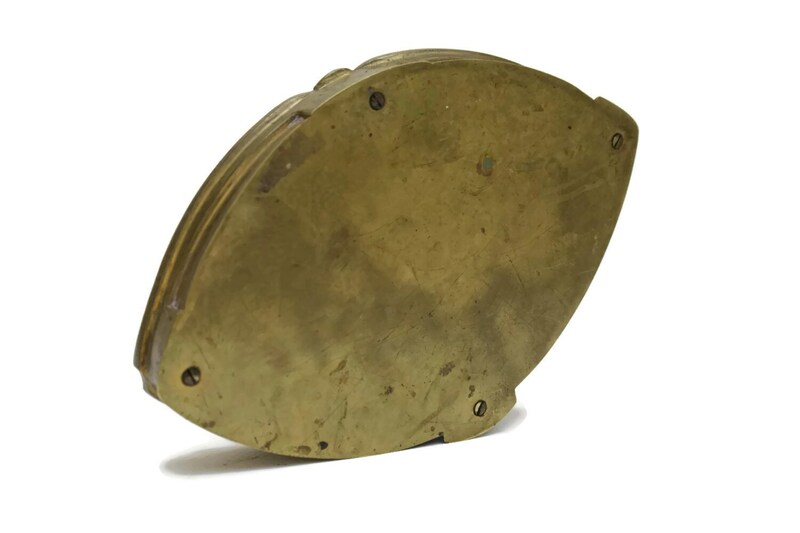 The original interior pot is missing. This would be a great addition to any desk. The inkwell measures approx. 7.2" long x 4.7" wide x 2.7" tall (18,5 cm x 12 cm x 7 cm). 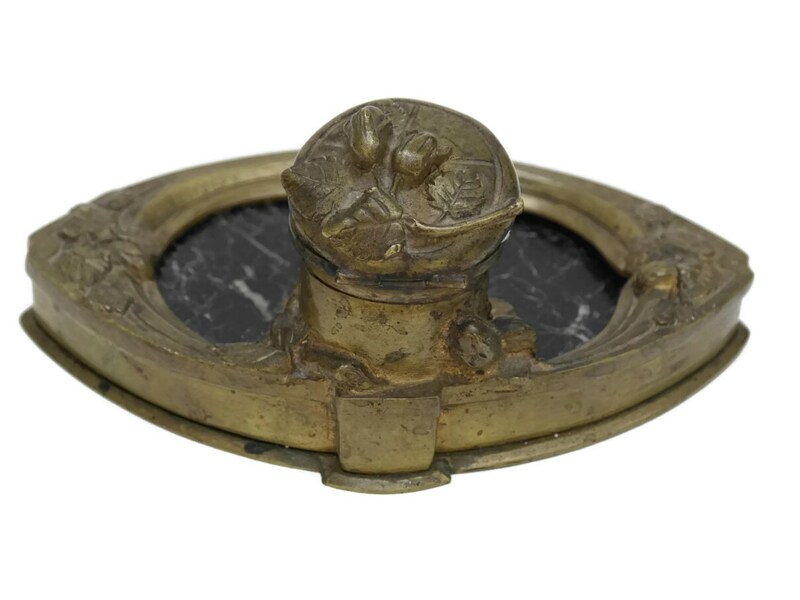 The gilt bronze inkwell is in good antique condition with a nice patina and some age appropriate tarnish as pictured which only adds character.